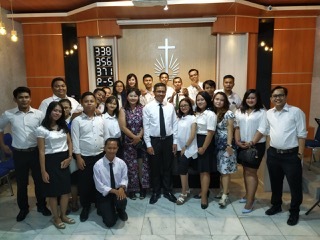 Sunday morning (1/13) they joined with all ministers and wives from DKI and Banten to attend the divine service conducted by the District Apostle Edy Isnugroho in our church in Depok. 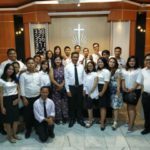 This passage from 1 Corinthians 11: 1 is the basis for the service. 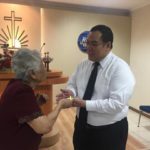 The District Apostle emphasizes and invites us to follow Christ’s example in doing God’s will, in faithfulness, forgiving, and loving others. 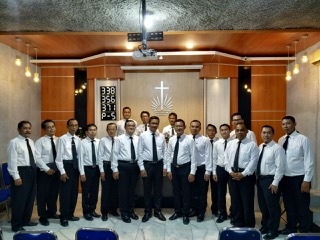 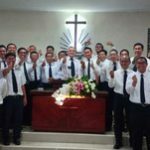 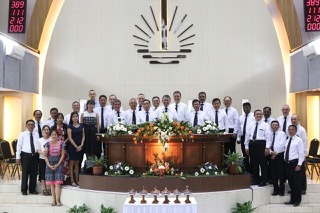 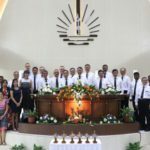 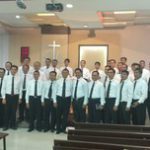 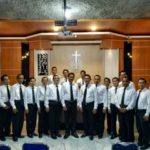 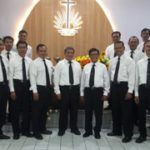 In the afternoon, all Apostles served in various congregations in Jakarta and Banten regions. 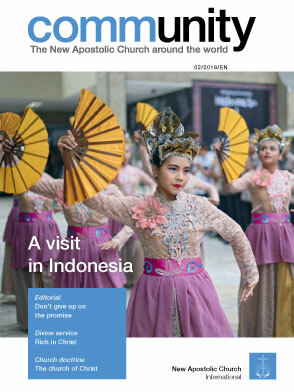 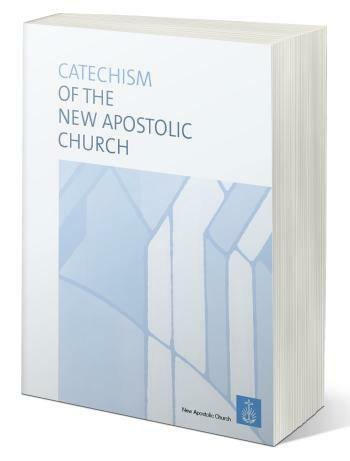 A special opportunity for the Apostles, but also for the congregation served. 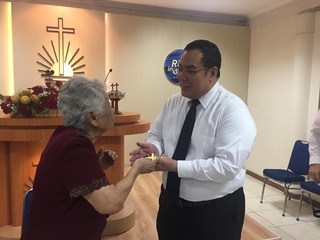 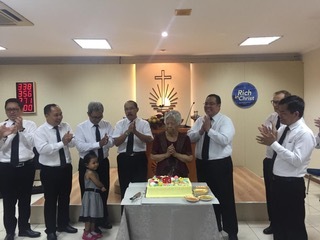 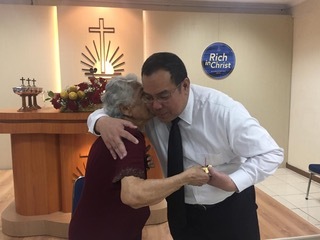 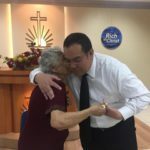 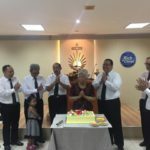 Apostle Samuel H. Tansahtikno, who now lives in the Philippines, for example, feels like ‘at home’ while serving the Kedoya congregation – a congregation that has been his responsibility for many years, even prayed for a sister who on that day had her 93rd birthday. 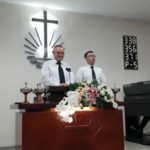 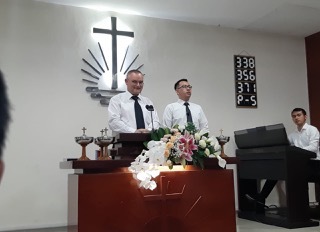 The District Apostle himself served in the Tangerang congregation with Apostle Rumantiyo (Lampung) and dispensed Holy Sealing to 8 souls and ordained 2 Priests and 3 new Deacons.